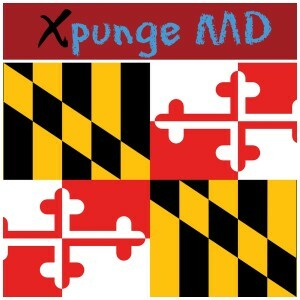 The source of rules governing the expungement process and eligibility of offenses for expungement can be found in the Annotated Code of Maryland – Md. CRIMINAL PROCEDURE Code Ann. § 10-102 – 109. A probation before judgment is entered, unless the person was charged with certain non-qualifying offenses. The case is postponed and placed on the “STET” docket. The case is compromised under § 3-207 of the Criminal Law Article. The charge was transferred to the juvenile court under § 4-202. The person is convicted of only one criminal act, and it is not a crime of violence. The person is granted a full unconditional pardon by the Governor. The person was convicted or found not criminally responsible for a nuisance crime. The person was found not criminally responsible for misdemeanor trespass, disturbing the peace, or telephone misuse. The person was convicted of a crime that is no longer a crime. A person must file a petition for expungement in the court they where the offense was heard. The petitioner must fill in the appropriate information in the form. In many cases a general waiver and release must also be filed concurrently. There maybe certain requirements such as a waiting period before one qualifies for expungement. For example, a person with a stet or probation may have to wait 3 years after disposition before being granted an expungement. If a person in this situation need wants an expungement granted before then, then he or she should contact an attorney about a petition for early expungement for good cause. The expungement process takes roughly 90 days. The sealing of traffic records is done by the MVA. Many records are automatically expunged after three years. If your record has not been expunged, or if you do not qualify for an automatic expungement, then you or your attorney may submit a manual request for expungement using the standard form or a written letter.